I cannot tell you exactly since when, but I have to admit I love a bitter taste such as bitter chocolate, black coffee, green herbs and veggies. In fact, not only do I like astringent foods but also I feel better after eating them because it is detoxifying, purifying and easy on digestion. Anything in excess is not good though. Too much bitter foods can actually cause gas, constipation and imbalance in your digestive system. So what you need to do is start with small amount, balance out raw and cooked foods and add digestive spices such as turmeric, fenugreek, basil and ginger. Cover adzuki beans with water in a pot and cook over medium heat for 15-20 minutes until soft. Drain and set aside. 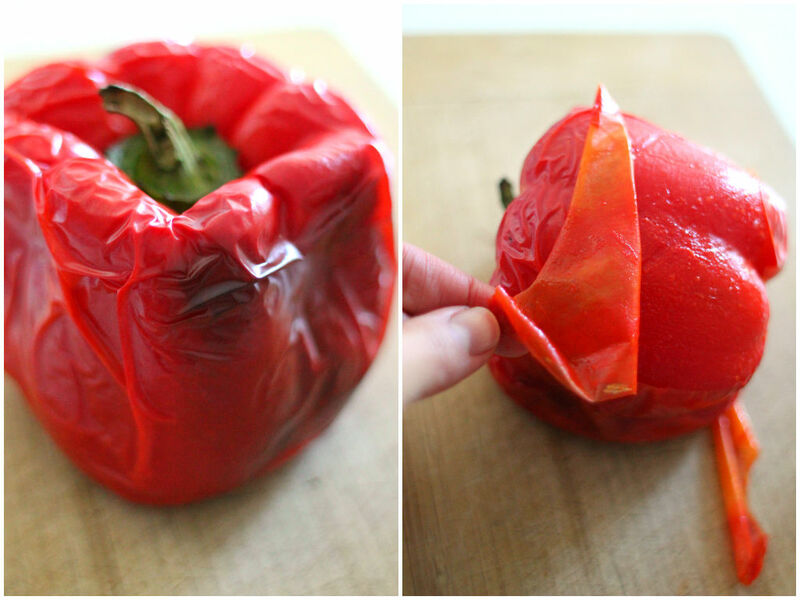 Roast red capsicum in the preheated oven (190) for about 20 minutes, peel the skin and roughly chop. 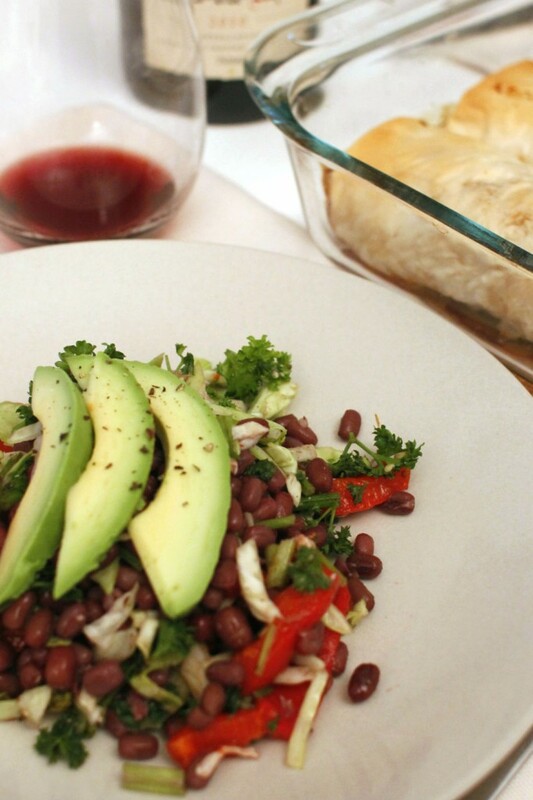 Put cooked beans, cabbage, parsley, capsicum and avocado in a large mixing bowl. Season with salt and pepper. 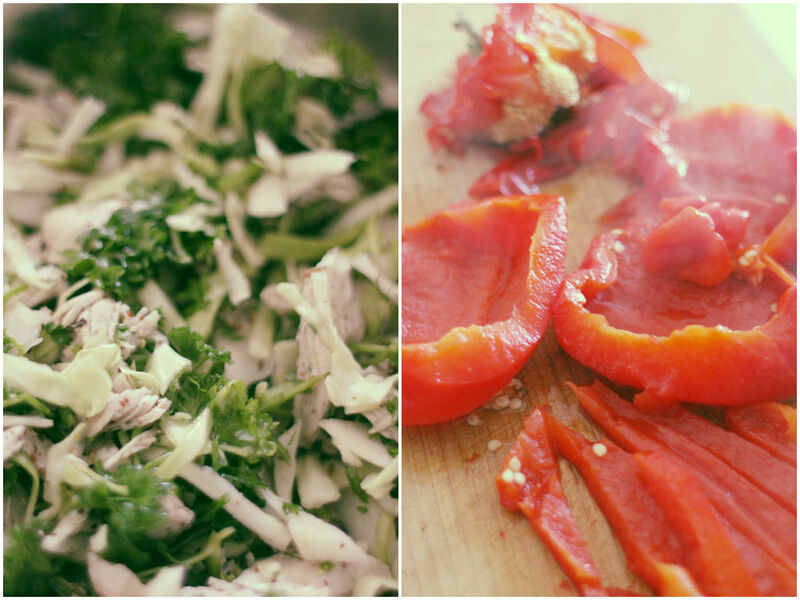 Mix dressing ingredients in a separate bowl or jar. Drizzle over the salad and toss well to combine. Transfer to a serving plate.